Ahead of its time. Perhaps the best automatic trigger scanner available today. 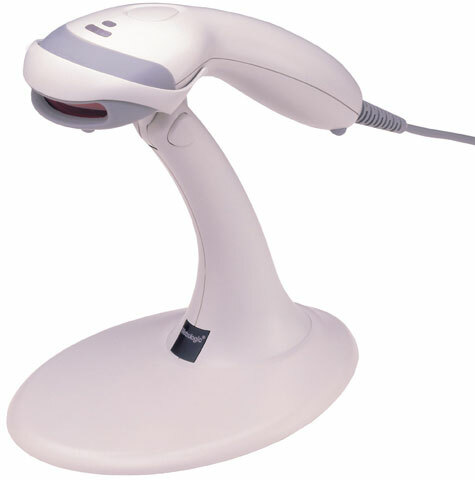 With a futuristic design and high-performance scanning technology the MS9520 is clearly the most advanced auto-triggered scanner on the market today. Enabled for both In-stand and Out-of-stand operation Voyager can be used as a handheld and fixed presentation scanner. The feature-packed Voyager comes equipped with PowerLink user-replaceable cables and power supply MetroSelect one-code programming MetroSet Windows-based software configuration utility Bits n' Pieces data editing utility and an Electronic Article Surveillance (EAS) option. The MS9520 Voyager is perfect for many applications including point-of-sale inventory control and commercial-warehouse applications. With its aggressive performance and comfortable design Voyager is far and away the most advanced scanner on the market today. The Metrologic MS9520-00 is also known as Metrologic Instruments	MET-MS952000	or MS952000	.